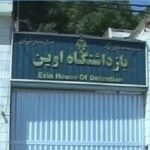 HRANA News Agency – Following the recent protests of the prisoners, there is more pressure been put on the prisoners of section 350 of Evin prison. HRANA News Agency – Said Abedini the imprisoned priest, has been transferred form section 240 of Evin prison to Tehran Modarres hospital and been back to the prison after getting outpatient treatment. HRANA News Agency – 10 political prisoners of the section 350 of the Evin prison have been transferred to the section 240’s solitaries. HRANA News Agency – According to reports published by media outlets, Sattar Beheshti was arrested by the cyber police, a subsidiary of the nation’s security forces on October 30th 2012. On November 6th, Mr Beheshti’s family was reportedly informed of his passing, requesting that his body be collected at the Kahrizak morgue. All along, the family was threatened not to speak to anyone regarding this matter. Give that Mr. Sattar Beheshti was at Evin’s general ward 350 from October 31st 2012 to November 1st 2012 and the detainees at this ward had therefore witnessed his painful physical and psychological condition first hand, we view it our national and religious duty to inform the honorable Iranian nation of Mr. Beheshti’s background and predicament. 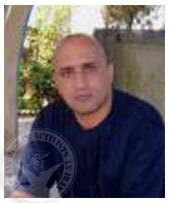 Sattar Beheshti was charged as a result of his criticism of the authorities of the ruling establishment in his personal blog. He told eye witnesses at Evin’s ward 350 that while in custody at the police headquarters, he had first been severely beaten while hanging from the ceiling and later beaten further while tied to a chair. Sometimes he was beaten while his hands were tied and at other times he was pushed to the ground and kicked severely in the area of the head and neck by interrogators wearing army boots. While being tortured, Beheshti was reportedly subjected to the most vulgar curses attacking his honor and his interrogators repeatedly threatened to kill him. When arriving at Evin’s ward 350, evidence of torture was apparent throughout Sattar’s body and he was in a painful physical and psychological state. His face was scarred, his head was swollen, his wrists and arms were bruised and the effects of hanging from the ceiling were apparent on his wrists. Bruises were also apparent on other parts of his body such as around his neck, his stomach and his back. Despite the fact that he was barely able to write as a result of his beatings, Sattar nevertheless filed a short complaint to the authorities of Evin’s ward 350, describing his condition and the manner in which he had been treated at the hands of the security agents, demanding that they follow up on his case. Given that his physical condition was far from normal, Sattar was taken to the prison infirmary on two occasions where the physician at the infirmary was also able to witness his condition first hand. On November 1st, 2011, Sattar a young and true activist of the Green Movement was once again transferred from Evin’s ward 350 to the security police headquarters. He was extremely concerned when leaving the ward and told other detainees: “They intend to kill me.” Four days after his transfer, his family was informed of his death. They witness the cruelty, injustices, atrocities, torture and murder and remain indifferent, without losing even a night’s sleep. In recent years and following the 2009 presidential elections we have repeatedly witnessed this type of torture of detainees at the hands of the security and cyber police. There are individuals currently at Evin’s ward 350 who have personally been subjected to such torture. We hereby testify that we have witnessed the existence of numerous cases of torture of detainees at the hands of the agents of the security police at Evin’s ward 350. We believe that if the criminals at Kahrizak prison and the torturers at Evin prison whose accounts of torture have been repeatedly published and are known to the authorities of the ruling establishment, would be punished rather than encouraged and promoted, such heinous Kahrizak style tortures and cases of murder would no longer be repeated. It has now been proven to all of us that when it comes to the current ruling establishment our cries will only fall on deaf ears. While offering our condolences to the family of the late Sattar Beheshti and the oppressed Iranian nation, we remind everyone that the current ruling establishment, whether they like it or not, are responsible for the cruelty, torture and unjust bloodshed of innocent victims. HRANA News Agency – Human Rights Watch (HRW) has urged Iranian authorities to immediately free seven jailed teachers and to end the harassment of dozens of others. (Beirut) – Iranian authorities should immediately free seven teachers who are behind bars solely for speaking out against the government. Iran should also end harassment of dozens of others teachers who are facing charges or who have already served time in prison on national-security-related charges. Human Rights Watch issued the call on World Teachers Day as part of a joint campaign initiated by Iranian and other international rights groups to highlight the plight of teachers who criticize the government. HRANA News Agency – Majid Dari is an imprisoned student activist expelled from Allameh Tabatabai University (ATU) in Tehran.He studied literature at ATU and was a member of the Advocacy Council for the Right to Education.In July of 2009, Majid Dari was arrested by Iranian Intelligence Agency and locked up in Evin Prison. Following a trial and an appeal, Majid Dari was sentenced to 6 years in prison and exiled to Khuzestan Province.In August 2010, without prior notice, prison officials placed Majid Dari in shackles and transferred him to a prison in the city of Behbahan.Since then, he has been serving his prison term in exile. It is difficult to talk about September, school and its reopening and hard to dig up school memories.It is naïve to talk about the resistance in universities and what effects they’ve had.It is equally gullible to mention all the scathing criticisms and trashing aimed towards universities and to remember the never-ending hollers towards the occupiers. There was a time when we screamed not to concede an inch for the day would come when they could dictate what we were allowed to utter, read and wear.Although we stood alone, at the end, we prevented universities from becoming monolithic institutes devoid of diversity and stopped the second Cultural Revolution from taking place. To our utter dismay, the tale has reportedly taken another turn without our knowledge.September begins again while these tragedies take place together all at once.Even worse, university students go along with the prevailing tide, submit to it and accept it.And the depths of the disaster widen.Thereafter, permissible thoughts are dictated and allowable beliefs are announced while the so-called brave students with their silent screams bend and capitulate. When the time for talking, bragging and showing off had ended, and it was time for action, the on-going resistance was considered foolish.To those of us still standing, they said, “We haven’t backed off; our tactics have changed.”Thus, this change in tactics effectively buried the next generation under a pile of compromise and brought about a disaster unprecedented in the history of universities and their students. Now, where are those who must answer?Where are those who must compare the weight of their raves and rants against their actions or at least express some remorse?Are they still adamant that their change in tactics has been effective and blame us for what has conspired? I wanted to hail the university, but given the fact that universities have their own distinguishing characteristics, I won’t because this place resembles a high school more.I wanted to hail all college students, but these individuals liken to junior schoolchildren. College students possess and universities hold within themselves certain reverence and sanctity such that they bow to no one, accept no humiliation and stand tall against tyrants.They fear not but challenge and defeat the enemy.They offer their lives while standing erect.They offer blood and remain steadfast.They dedicate their lives to bring about growth and change.To those who know who college students and what universities are, if this tree dries up and dies, we are all responsible.Yes, all of us. Hail Majid Tavakoli!Hail Mahdieh Golro!Hail Zia Nabavi!Hail Abdollah Momeni!Greetings to Bahareh Hedayat! HRANA –The arrests of union activists continue with the arrests of Mohammad Ali Shirazi and Mohammad Ali Shahedi, two members of the Board of Directors of the Teachers’ Union in Yazd.